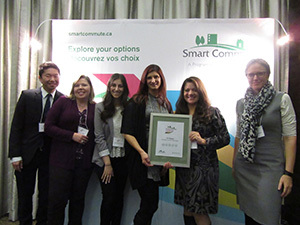 On November 24th, Light of Christ CES was awarded the “Bike to School Week Award” at the Metrolinx Smart Commute Awards! The Smart Commute Awards were introduced in 2007 to officially recognize employer members and partners who have put forth an exceptional effort in implementing their Smart Commute programs. New this year was the introduction of the Bike to School Award. The participating school in each municipality (Durham Region, Halton Region, Hamilton, Peel Region, Toronto and York Region) with the highest percentage of students that biked to school during Bike to School week were recognized. 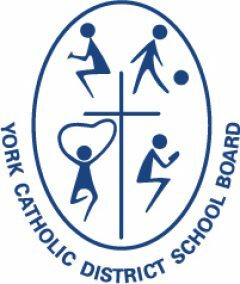 Light of Christ CES received this recognition for the York Region area! Health Champion (parent) Ms. Orlando and Health Champion (Teacher) Ms. Fiumara-D’antonio accepted the award on behalf of the school. Congratulations to the amazing students at LOC whose healthy, active lifestyle helped the school win this incredible award!